Yulia Tymoshenko’s bid for the presidency in Ukraine now includes promises of revisiting an ineffective treaty. In the 2019 Ukrainian elections, the war in the Donbas is a dominant issue. Most of the presidential candidates flirt with anti-war populism. The remnants of Ukraine’s pro-Russian camp are especially active in this field, promising to bring peace and transform Ukraine into a ‘neutral Switzerland’. But even candidates claiming to be pro-European, such as Yulia Tymoshenko and Anatoliy Grytsenko, want to show they are better than President Petro Poroshenko in the foreign and defence policy domains. There is nothing wrong with competition of ideas in a democracy, as long as they are not products of a fantasy world. Tymoshenko, likely to be Poroshenko’s main challenger, has raised the idea of a ‘Budapest Plus’ to replace the 1994 Budapest Memorandum. Fourteen years ago, Ukraine agreed to give away the world’s third largest nuclear weapons arsenal and join the NPT (Nuclear Non-Proliferation Treaty) in exchange for vague ‘security assurances.’ It is a commonly held view in Ukraine, also held by this author, that Ukraine gave away its nuclear weapons too cheaply. Ukraine should have asked for a promise of future NATO membership. But eastern Ukrainian elites like Leonid Kuchma had bought into the Soviet myth of ‘brotherly Russian-Ukrainian peoples’ and never believed Russia would unleash military aggression against Ukraine, so before 2014 they never believed Russia would constitute a security threat. 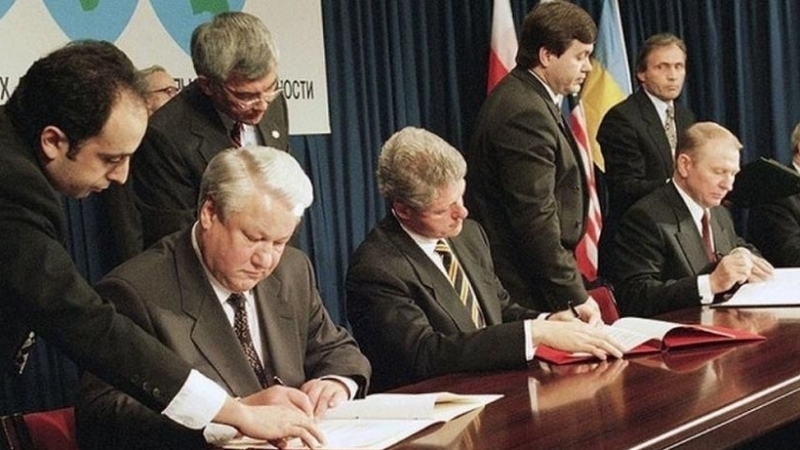 The second problem is that Russia was one of the signatories of the Budapest Memorandum. 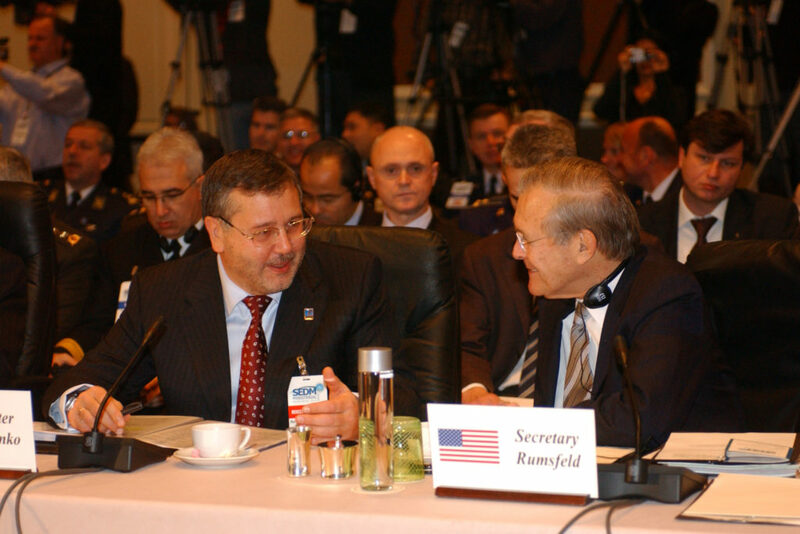 Throughout Boris Yeltsyn’s presidency, Russia undermined the Budapest Memorandum by making territorial claims against the Crimea and Sevastopol; in 2003, Russia even tried to invade the island of Tuzla, lying of the Crimean coast. In 2014, Russia openly disregarded the Budapest Memorandum when it annexed the Crimea and invaded and occupied parts of the Donbas. Russia continues to wage war against Ukraine through its proxies the DNR (Donetsk Peoples Republic) and the LNR (Luhansk Peoples Republic). ‘Budapest Plus’ would include France, Germany, the EU and China. France, Germany and the EU are already involved in the Minsk agreement and Normandy format. But it is not at all clear why Tymoshenko has included China, which has supported Russia and abstained in every vote at the UN that deals with the Crimea or Donbas. The only outcome that Putin will accept is a ‘Finlandised’ neutral Ukraine remaining within the Russian World. 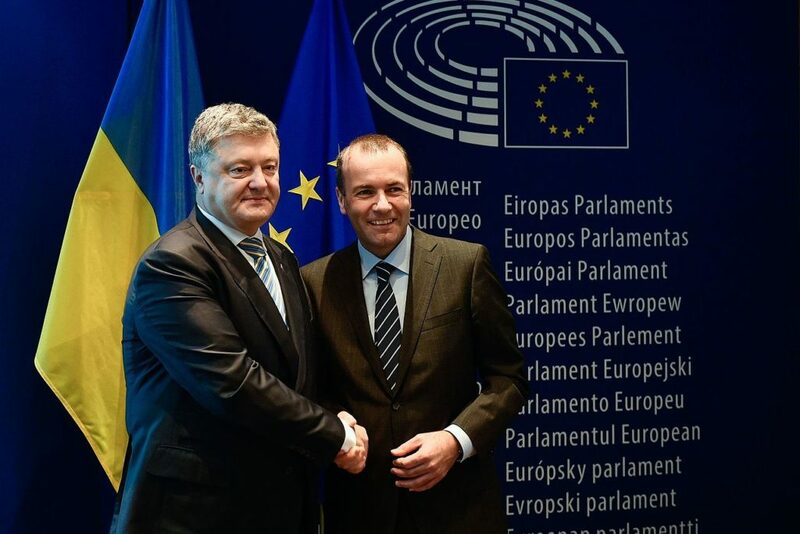 NATO and EU membership for Ukraine are out of the question. Pro-Russian candidates Yuriy Boyko and Vadym Rabinovich would agree to this deal. Standing behind Rabinovich is Viktor Medvedchuk, head of the For Life Party and Putin’s faithful servant in Ukraine; Putin is the godfather of Medvedchuk’s daughter. The elephant in the room that pro-Russian politicians will have to explain is why Ukraine’s neutral status in 2014, one of Yanukovych’s foreign policy innovations implemented a few year previously, did nothing to prevent Russia’s annexation of Ukrainian territory or Russia’s military invasion. Putin’s wants not only Finlandisation but has two other goals. The first is the transformation of Ukraine into a federal state so that his puppet DNR and LNR will possess a veto on his behalf over Ukraine’s domestic and foreign policy. The second is for Ukraine to remain part of the Russian World civilisation. Moscow also believes that Tymoshenko is somebody with whom they can negotiate a deal. A recent opinion poll asking Ukrainians who they believe Russia wants to see as Ukraine’s next president found that 46,5 per cent believed Boyko was Moscow’s favourite, followed by Rabinovich with 37.9 per cent and Tymoshenko at 28.4 per cent. Only Putin can end the war he began. He will only do that if a Ukrainian president agrees to implement the Minsk agreement in his way. That means changing the constitution to give the DNR and LNR ‘special status’ and accepting the results of Russian-controlled local elections. President Poroshenko and Western governments believe that there needs to be first a withdrawal of Russia’s troops (numbering 5-10,000) from Ukraine, de-militarisation of the 35,000-strong DNR and LNR 1st and 2nd Corps, and a return to Kyiv’s control of the Russian-Ukrainian border. After these three steps are undertaken by Russia, local elections could be held and the constitution potentially changed. Tymoshenko provides no evidence that a new ‘Budapest Plus’ format would change Putin’s views of Ukraine and Ukrainians or his strategic goals outlined above. ‘Budapest Plus’ belongs to the realm of fantasy. It is anti-war populism, used by Tymoshenko to promote herself as a peacemaker to Ukrainian voters who are weary of the war. Sadly it is an idea that will have no power to change a painful reality. Taras Kuzio in a professor in the Department of Political Science National University “Kyiv Mohyla Academy” and Non-Resident Fellow, Center for Transatlantic Relations, Johns Hopkins University – SAIS. Joint author of The Sources of Russia’s Great Power Politics: Ukraine and the Challenge to the European Order. Will strongman Hrytsenko appeal to Ukrainian voters?